Empyrean Level Norfolk Hotel Rooms & Suites - The Main. Upgrade to Empyrean Level and elevate your experience at The Main. 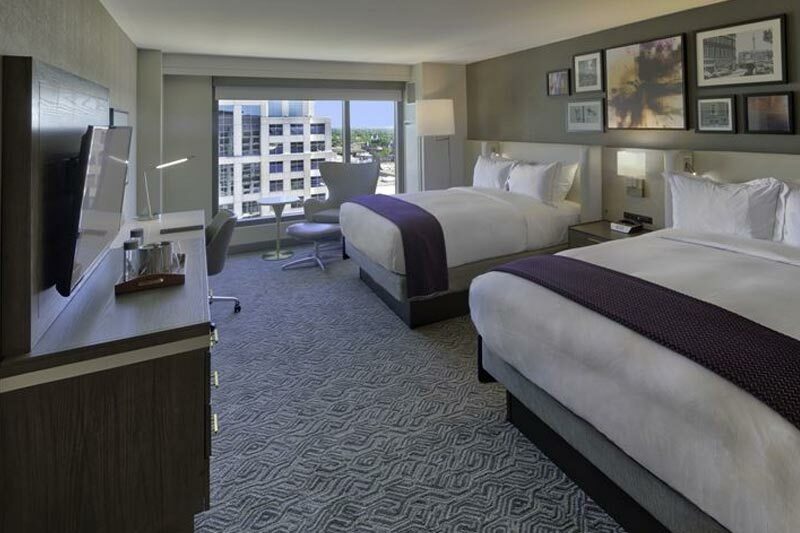 Ideal for business travelers and guests seeking upscale amenities and services, the Empyrean Club delivers exclusive perks, top-floor views, and elegant accommodations. Empyrean Club guests enjoy access to the Lounge with complimentary breakfast, snacks and hors d'oeuvres. Premium cocktails are also available in the Lounge for an additional fee. 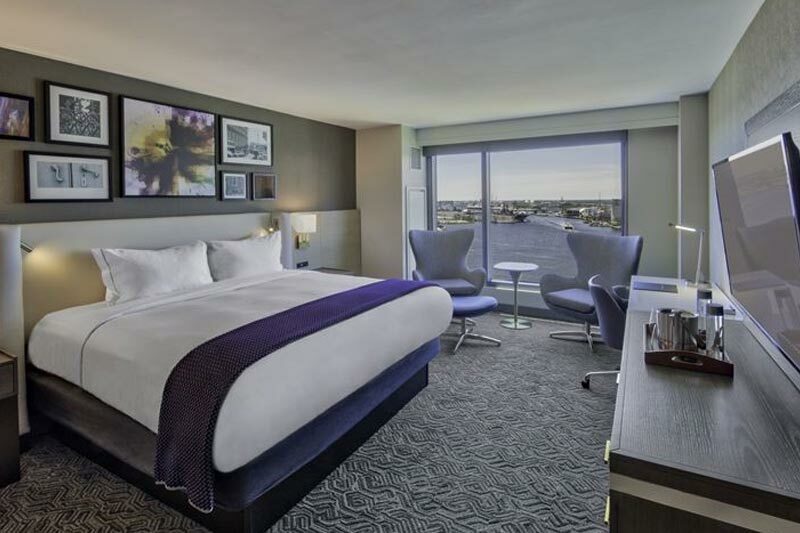 Our Empyrean Club rooms will help you escape from it all with spacious suites, premium bath products, plush bathrobes and comfortable queen- or king-sized beds. 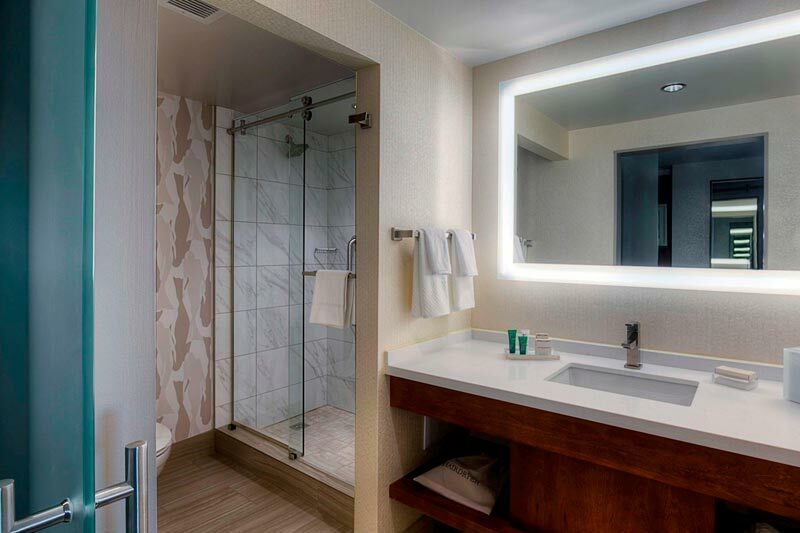 Carefully selected amenities such as phones with USB connections, 50-inch plasma screen TVs, lighted mirrors with TVs, 24/7 personal concierge services, and private check-out take your stay to the next level.